This program is advisable for best practice for nurse immunisers. 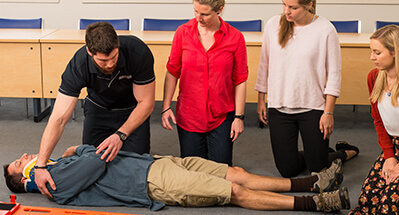 The program reviews essential knowledge and assesses current CPR competency within the context of an immunisation adverse event. During the workshop, relevant changes are highlighted, clinical practice issues are examined, skills demonstrated, practised and assessed. Participants will receive HLTAID001 Provide cardiopulmonary resuscitation Statement of Attainment upon successful completion. Join a public course, Australia-wide. Training can be at your workplace, at our public venues or a venue of your choice. For 10 or more people, Australia-wide. Find out more here. Earlier this year I performed CPR on my husband. I could not believe how quickly I remembered the timing and because I felt so confident I did not panic. The health and safety of all Australians is too important to compromise. Do I need a USI? The Student Identifiers Act in 2014 requires that all students enrolled in nationally recognised training provide their Registered Training Organisation (RTO) with their USI. This is applicable to all HLT and VIC units. How long is my course valid? 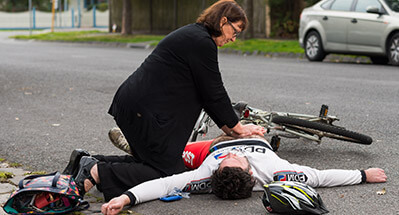 Premium Health offers public first aid training in Victoria, New South Wales, Queensland, South Australia and Western Australia. See here.